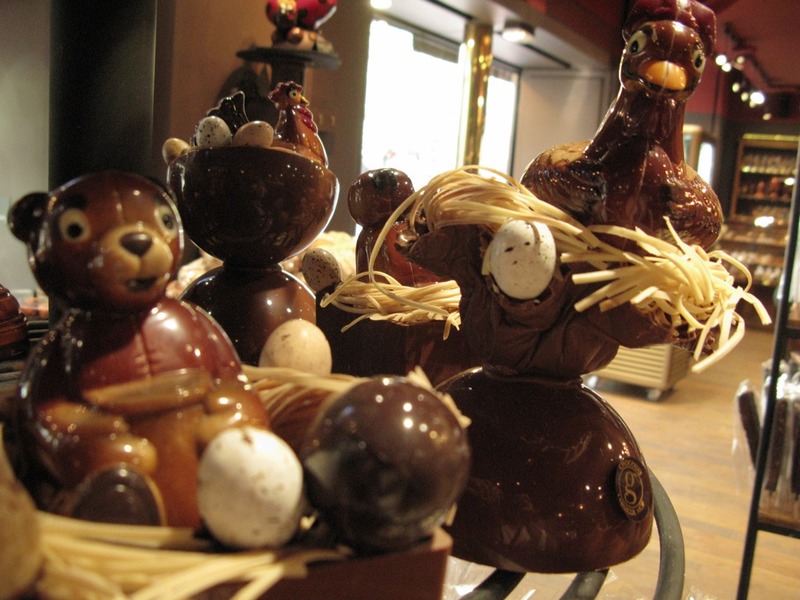 The Experienced Travelers wish you Joyeuses Pâques and a warm welcome to Spring! 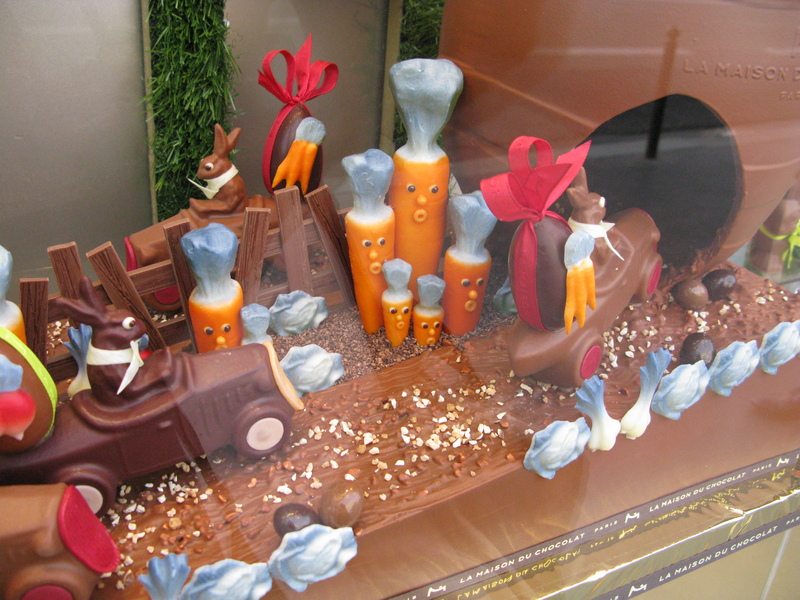 These Parisian store windows with their voluptuous displays made us long for the Easter Bunny to grace us with baskets of luscious chocolates, merangues and subtle ganaches. 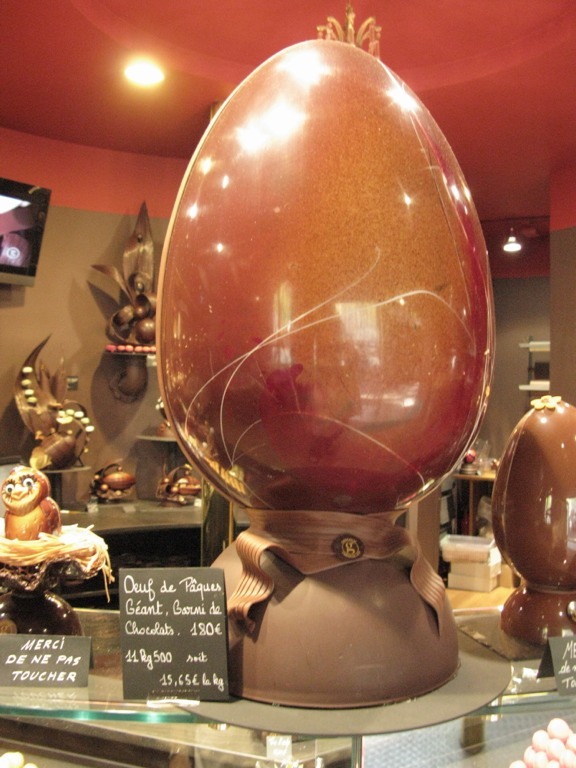 The French gauge worthiness by one’s tolerance for pure dark chocolate – the higher the percentage, the better your chances are for immigration. If you can tolerate 70-85% and conjugate 7 irregular verbs, you’re in. To celebrate the holiday, I’m sure there are roasts and pommes de terre gratinées in ovens all across Paris, with the promise of long afternoon walks and a rendez-vous with friends for a digestif at the corner cafe. We hope the weather is fine, the food is good and the tenor is restful on this Spring Easter weekend. Watch for more ET Paris reports in our next post! 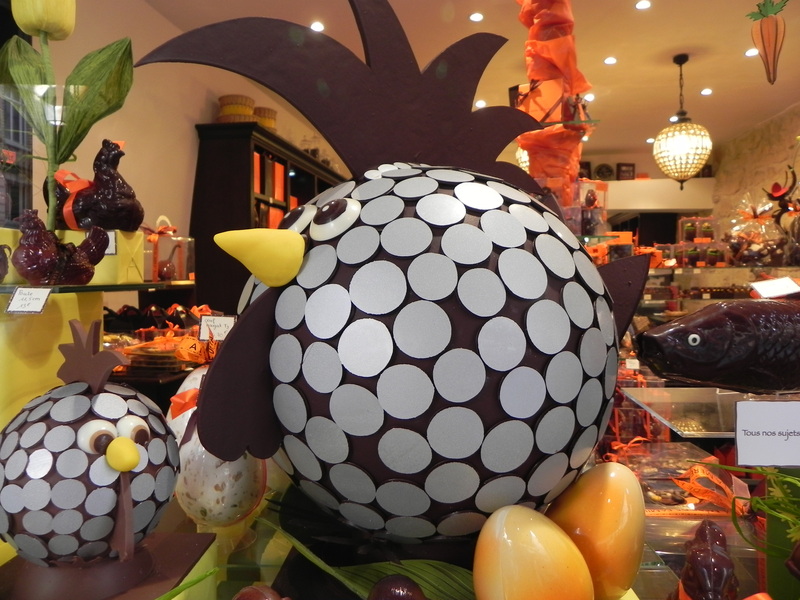 Relax and enjoy a leisurely Easter weekend! 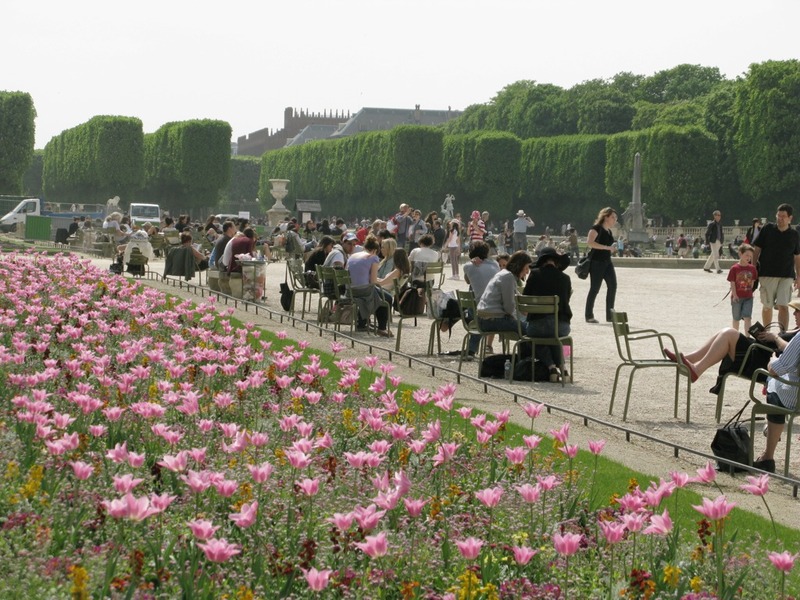 This entry was posted on April 22, 2011 at 5:11 pm and is filed under holidays, Paris Life. You can follow any responses to this entry through the RSS 2.0 feed. You can leave a response, or trackback from your own site.